Brazilian guitarist Celso Salim is a rare example of a performer that can effortlessly cross genre boundaries to create something that is personal and compelling. His music takes on a bevy of genres, mixing deep blues with hints of jazz, soul, honky-tonk and even touches of classic rock. He is a modern blues man rooted in the past. Salim started playing guitar at the age of six and by his teens he was focusing on early blues artists. At age 17 he moved to the United States where he studied a variety of American styles. Now, with 5 solo albums out, Celso has established a solid and productive career, becoming one of the busiest and most respected blues artists residing in Southern California. 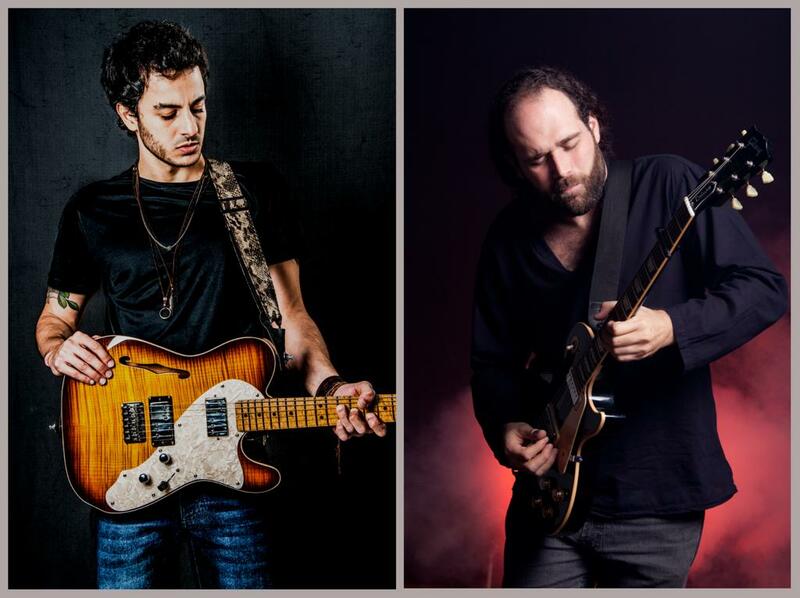 Winner of the Gibson/Albert King Award for Best Guitarist by The Blues Foundation 2018 (IBC), Artur Menezes is a high-energetic guitarist and plays with such a feeling that impresses the crowds. Based in Los Angeles, the brazilian artist is making his name playing around US and released his 4th album - Keep Pushing- produced by Josh Smith. In addition to performing the traditional blues with expertise and respect, he also plays modern blues, mixing with other styles. Last year, Artur shared the stage with Joe Satriani in a festival in Brazil for a 20 thousand people audience. Two years ago, when he was still living in Brazil, Artur was the headline of inumerous festivals. In 2014, headline at Augustibluus Festival in Estonia and played in clubs in UK. In 2015, he had a tour in Mexico and in 2013 in Argentina. In 2012, Artur played the opening shows for Buddy Guy's South American tour in Brazil. d on video, the TEDTalks accessible to billions of people worldwide.